Trump’s national security team had prepared carefully for the meeting in order to steer him away from an explicit timetable for withdrawal. They had brought papers that omitted any specific options for withdrawal timetables. 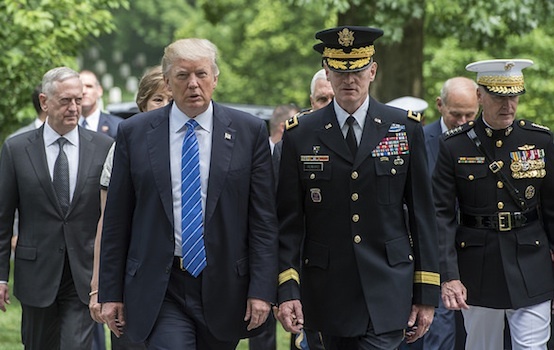 Instead, as the detailed AP account shows, they framed the options as a binary choice – either an immediate pullout or an indefinite presence in order to ensure the complete and permanent defeat of Islamic State. The leave option was described as risking a return of ISIS and leaving a power vacuum for Russia and Iran to fill.